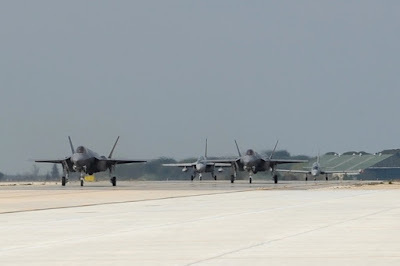 JSF, T-346 and G550 CAEW together for a joint training. March 16, 2017, Amendola AFB - The 32nd Wing of the Italian Air Force hosted a training exercise that involved the new JSF aircraft (Joint Strike Fighter) belonging to the home based 13th Flight Squadron and T-346A trainer jet belonging to the 61st Wing of Galatina. This activity marked the first joint flight for new Italian aircraft. The joint activity was organized to explore the main topics of common interest in advanced training to better prepare new pilots designated to fourth and fifth generation aircraft. The new G550 aircraft CAEW (Conformal Airborne Early Warning) from Pratica di Mare AFB took part in the exercise also. 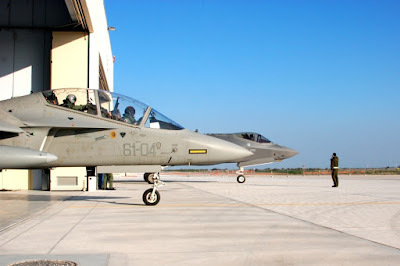 All the activities were coordinated by the control personnel of Italian Air Defense. 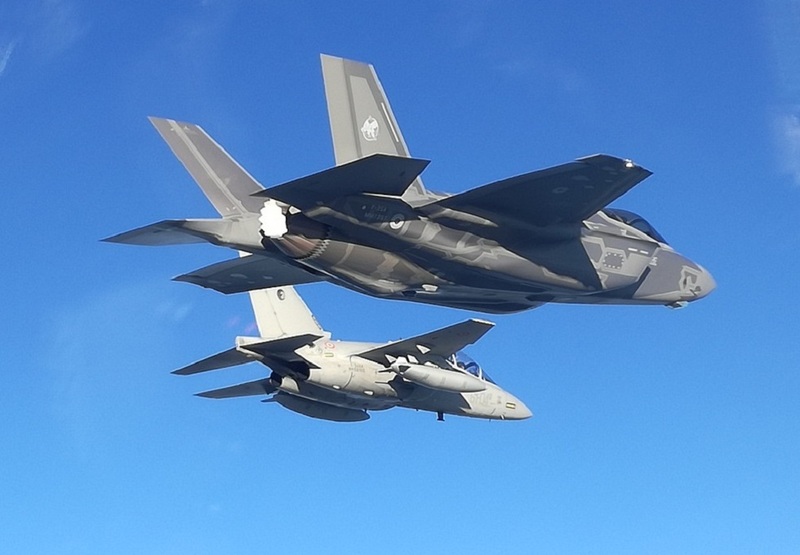 The 32nd Wing is the first one in Europe to have introduced the JSF aircraft, it also carries out the operational, training and technique activities for Predator remotely piloted aircraft. Its capabilities are very important to acquire and maintain the ability to perform national ISTAR (Intelligence, Survaillance, Target Acquisition, Reconnaissance) operations and for the coalition also. 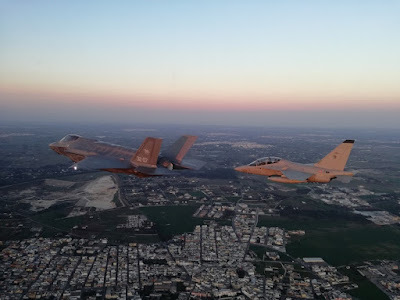 In addition, it provides and complete, through the MB-339A trainer jet, the training of UAV pilots in order to ensure an adequate level training aspects even on conventional aircraft.